This page is being updated on a regular basis, so please check back often. Also, I will not be taking any of the information off this page again this year. Also, please notice that all the major holidays are shipped out early. But I put them in anyway to give you a "HEADS UP" as to where to look for us again this year. PS - In case you didn't know. so feel free to come early and help set-up or just to visit. May the 2010 New Year Treat You Extra Special! Whom We Hold Close In Our Hearts! Full of Smiles, Love, & Support From Home! "There's Snow Buddy Better Than Our Troops"
Snowman Dress Up Kits, & of course, we wouldn't forget our famous "Yellow" Snowballs! "Happy Valentine's Day & Daytona 500"
Valentine toys & stuffed animals, etc. 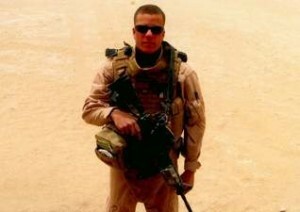 Navy Corpsman HM3 Benjamin P. Castiglione from Howell, Michigan. Lots of Too Funny Hilarious Prescriptions! "Pirates From the Caribbean & St. Patty's Day"
a pretend bottle of Yo! Ho! Rum! "Hippity Hoppity the Easter Bunny Has Come"
Some Bunnies Carrots About Them! We will have a display set-up at the Flint Home Builders & Garden Show. This will be our 3rd year at the show, please stop by and take a look see at all the new "Stuff" that will be on display. The show will be at the Perani Arena located between Dort Hwy & Center Rd. on Lapeer Rd. The hours are Friday from 5PM until 9PM, Saturday from 10AM until 9PM, Sunday from 10AM until 6PM. A Special Thank You to the entire Lambert Family for their support and allowing us to be a part of this show for the last 3 years. Also a very Special Thank You to the Building Industry Association of Southeastern Michigan (BIA) for their support of America's Troops serving in Iraq & Afghanistan. while they are so far from home bravely serving our country! Special Sweet Dream/Angel Boxes for our troops! we have decided to do it twice each year - only better! The total number of tickets will be limited to 300.
will only be guaranteed until 5:00 PM the day of the Dinner. A Bake Sale ~ Crafts ~ 50/50 Drawings ~ Entertainment & Kids Games etc. More details about what's happening all day long will be posted as we get them here. The Great tasting Prime Rib is from: Smiths Meats in Millington, MI. Cartoon DVD's to help get our troops ready for a day full of laughs & comedy! the Saginaw Valley Regional AACA Swap Meet. The Swap Meet [car/truck stuff] will also have crafts as well as other things to see. The Suski Car lot is off exit 136, west of I-75. Come early and stay late - see you there. We will have our trailer in the Burton Memorial parade again this year. There will be a short ceremony at the Veterans Memorial right after the parade. Food is available but if you want you can bring a picnic and sit on the grass. "4th of July/Mr. Bob Heft"
The hours will be from 8 AM until 5 PM both days. to learn more about the Smiles from Home we send to our troops! "No Meeting planned - Everyone get ready for America"s Birthday Next Sunday"
We will have a display set-up at the Fenton Freedom Festival. We will be located on the grounds of the Community Center in downtown Fenton. The hours are from 8:30AM until 3:30PM so come and enjoy all the "Doin's"
Stop by & learn how we send our troops Smiles from Home! We will have a display at the Farmers Market in Davison, Michigan. so stop by and see what kind of "Stuff" we send in our "Smiles From Home". Look for us across from the Optimists food trailer. The times for both days - 9:00AM until dusk. please check out the �Back to the Bricks� web site. Mid Michigan Old Gas Tractor Association show in Oakley Mi. Show hours are Friday & Saturday 9:00 AM to 9:00 PM and Sunday 9:00AM to 2:00 PM. This is one of the largest tractor shows in the country. There will be fireworks Saturday evening around dusk. You don�t want to miss it; it is worth the drive to Oakley, Mi. From the Flint area, take I-69 or M-21 to Owosso and turn north on M-52. You can also take M-57 west passed Chesaning and turn south on M-52 (S. Oakley Rd) towards Oakley. "A Trip to the Zoo"
"Ms. Barbie is Coming to Town"
For the GRAND OPENING, so stop by and check out the best Family Hair Place in the State!!! "Don't have a theme yet - Really - got any idea's, let Cheryl know"
Advance Tickets are available, the total number of tickets will be limited to 300.
will only be guaranteed until 4:00 PM the day of the Dinner. A Bake Sale ~ Crafts ~ 50/50 Drawings ~ Entertainment Kids Games etc. & just maybe Mr. Pumpkin Head will stop by again - Smile!!! from 7:30AM until after the "Pumpkin Drops" around 5:30PM. The Pumpkin Fest has LOTS of vendors and rides galore for the kids. This link will take you to the City of Davison web site for all the scoop. "The now FAMOUS Charley Brown Christmas tree Box"
"Clean-up Time Again - Wash behind those ears"
Did you notice this meeting is only one week after the last one. So you have LOTS of time to get all your shopping done, no excuses this year - lol.